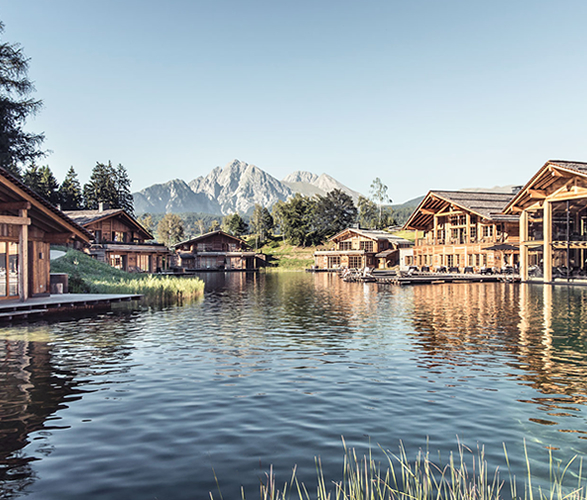 Looking for a special place to unwind, disconnect and immerse yourself in nature? 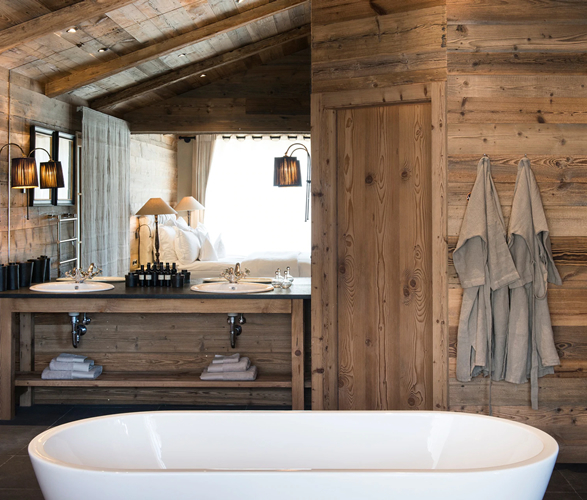 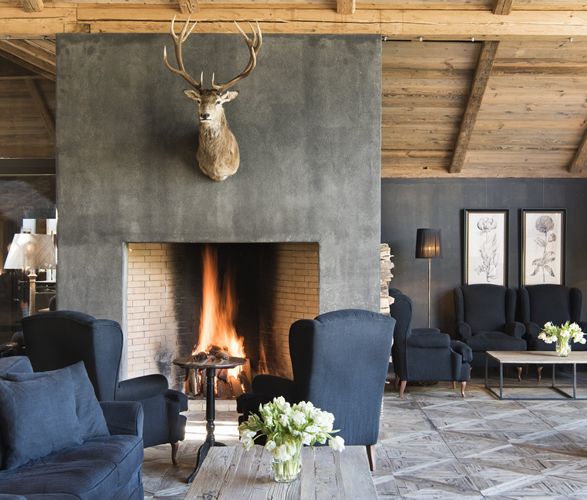 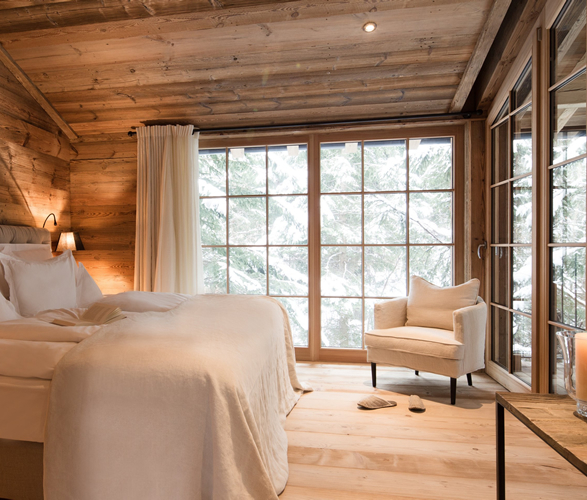 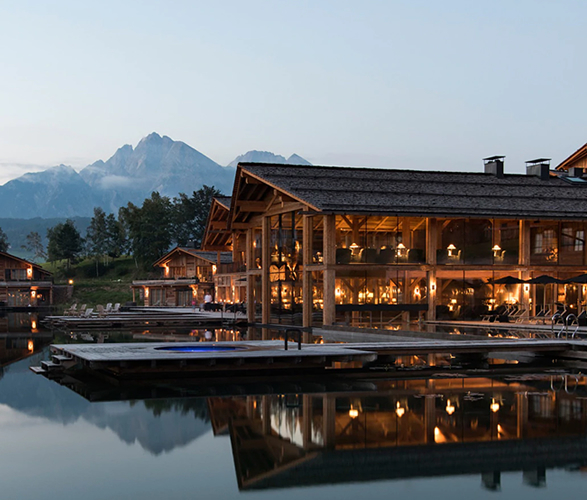 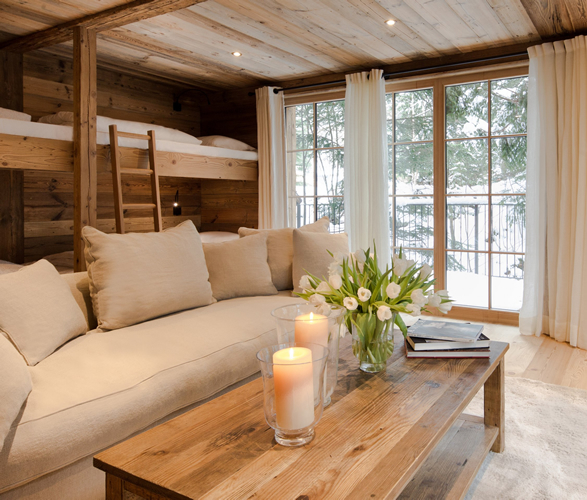 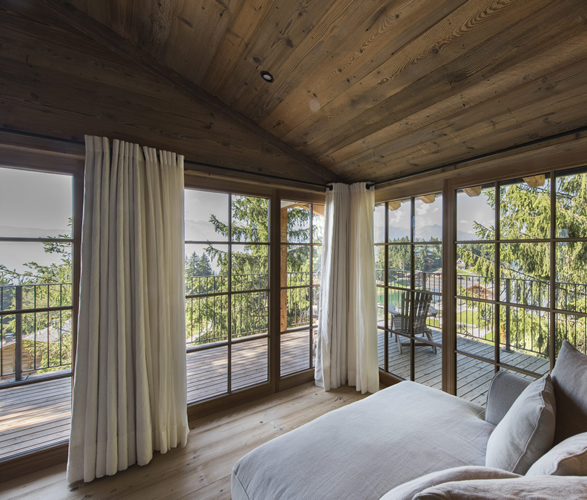 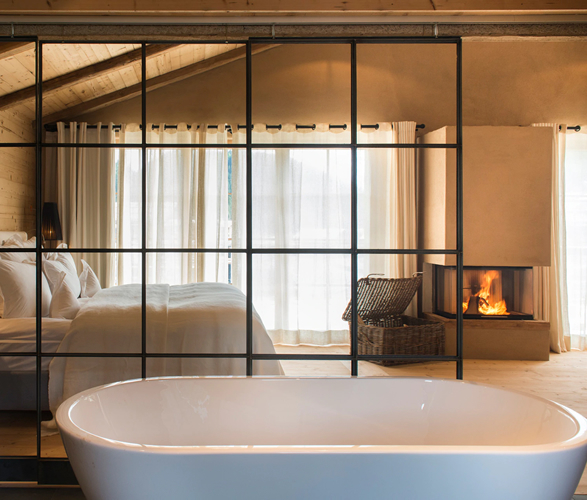 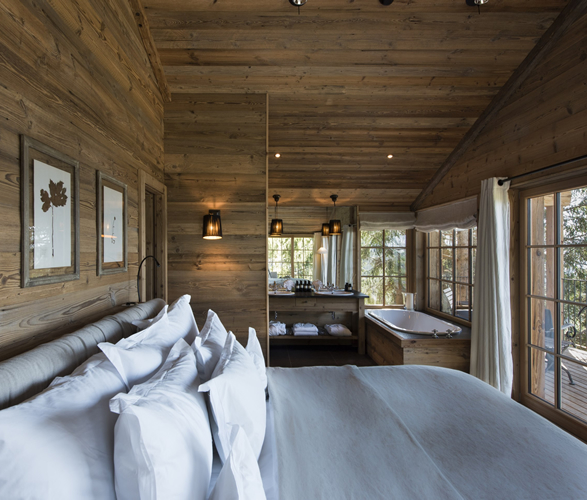 This super stylish, tranquil mountain retreat surrounded by swaying forests and majestic peaks in South Tyrol, Italy, is for you. 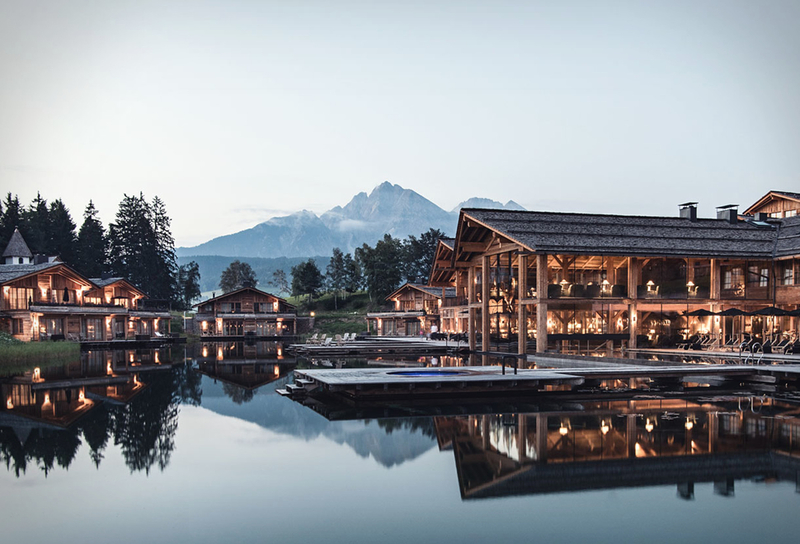 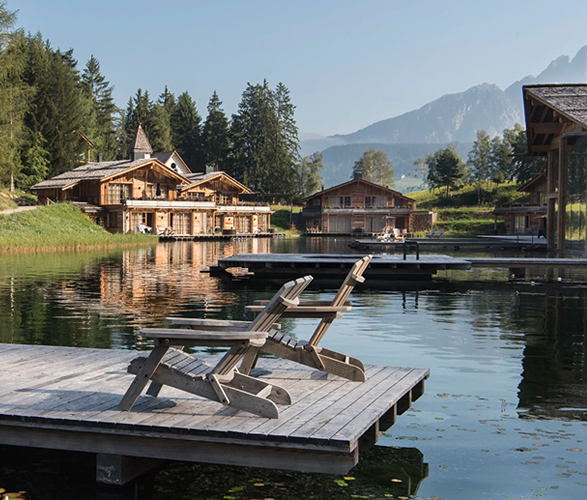 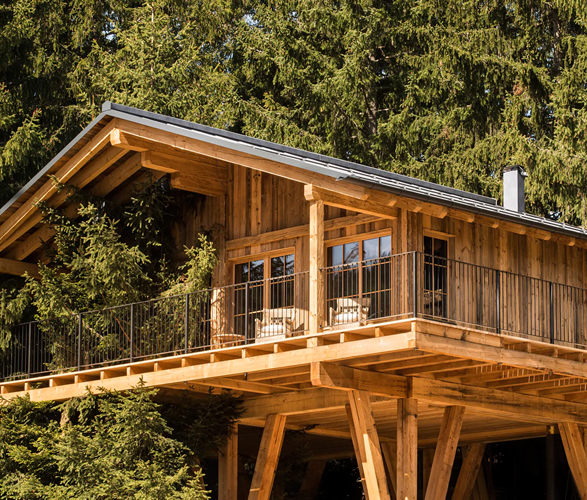 The San Luis Retreat is composed of several wooden chalets and treehouses set around a glacier mint-clear lake. 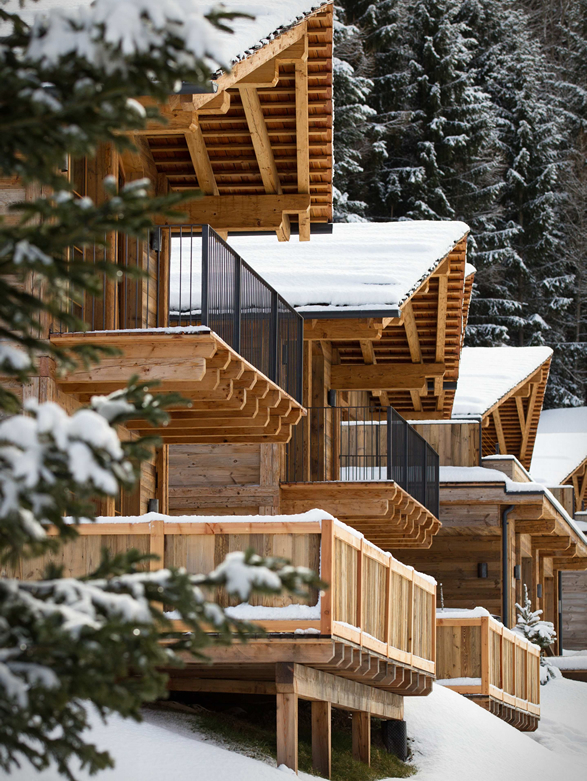 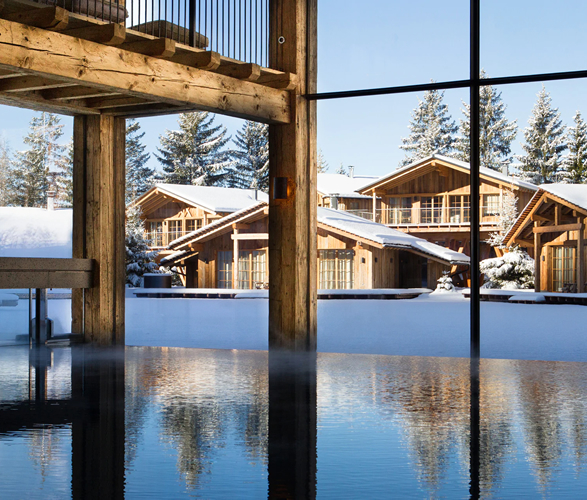 All have terraces, large windows and most chalets have their own hot tubs and saunas. 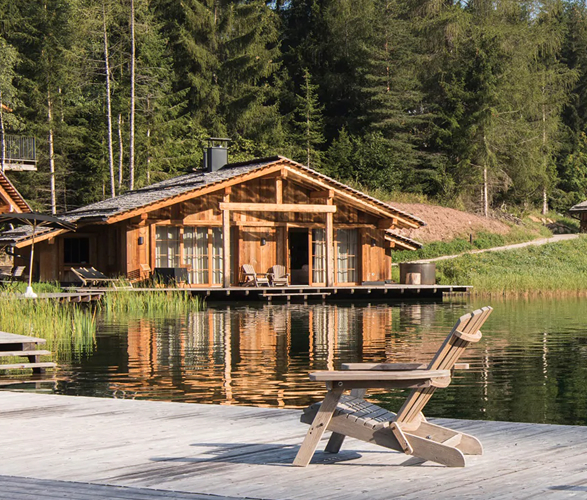 Some chalets teeter on the edge of the lake, others have views of the forest and mountains, while the treehouses poke up through the branches. 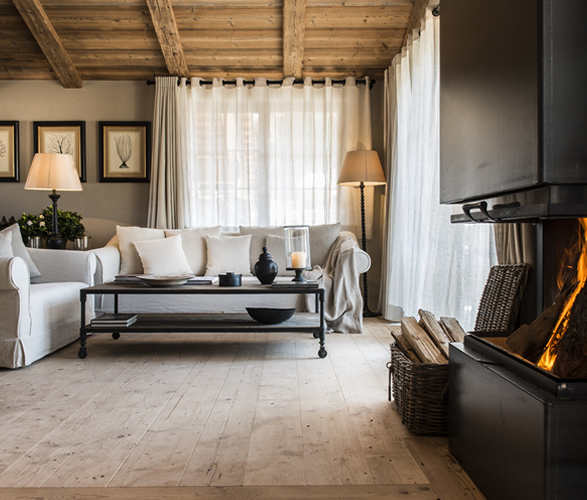 Wood, natural fabrics and stone abound inside and there are crackling log fires and lots of space for relaxing. 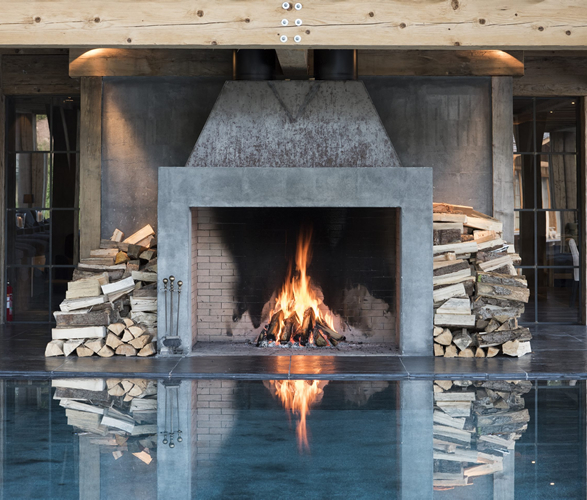 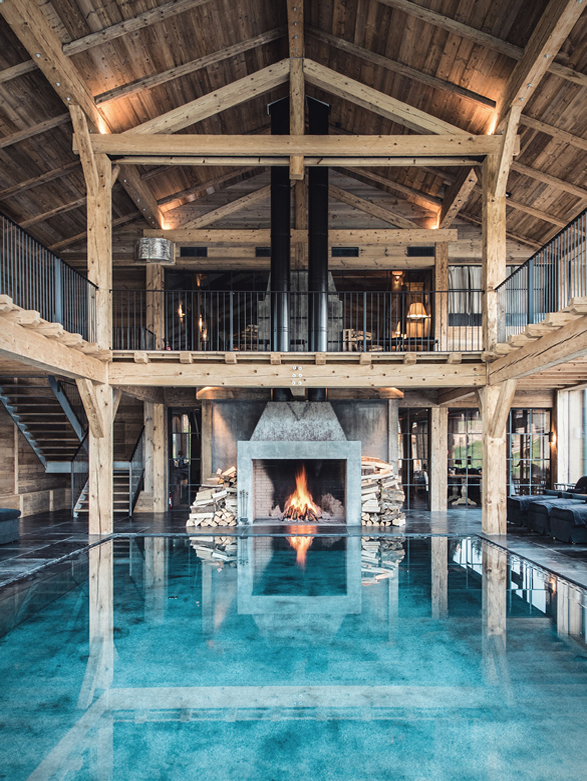 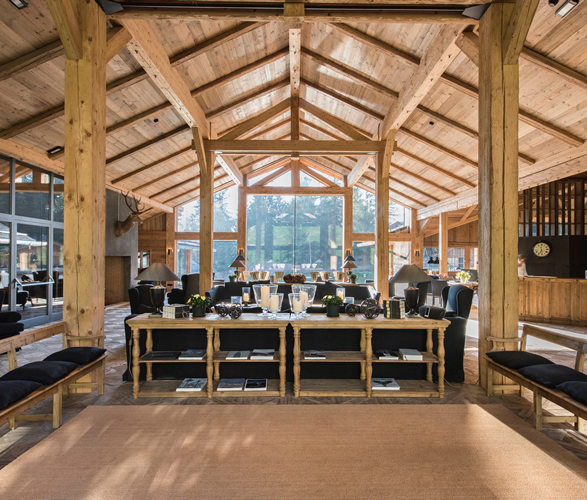 The main attraction however, is the double height, barn-style pool area with floor-to-ceiling windows decked out with wood, stone and roaring fires.